The clouds have parted, the sun has been shining and the summer holidays are finally upon us! 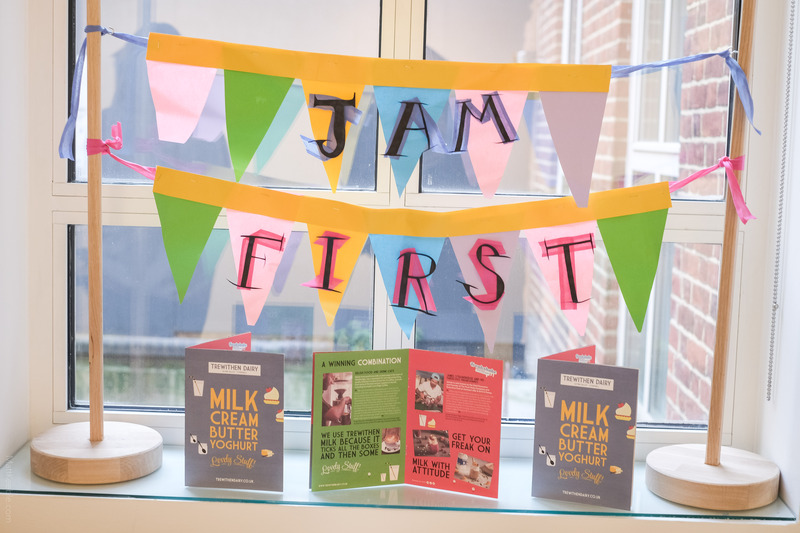 There is a wealth of lovely stuff to do with the family – these are just a few of our favourite events and activities that are starting in the first couple of weeks, with Part 2 coming soon! 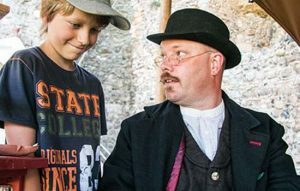 Pack a blanket, a cushion and some pocket money for ice cream and enjoy one of the many storytelling events this summer, with mermaid tales at the National Maritime Museum and smugglers stories at the Minack Theatre. 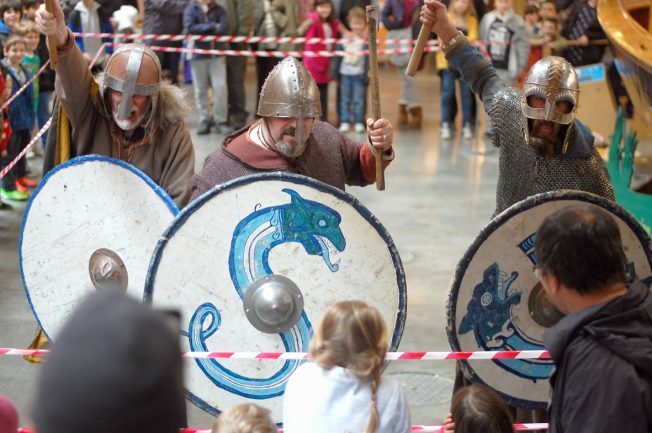 Get creative at the Newlyn Art Gallery & The Exchange and throw some shapes at the Leach Pottery, or time travel back to the Tudors, the Vikings… and even the Dinsosaurs! As The Captain, Mark Harandon tells stories handed down over the years. Tales of those old times when everybody knew about “the Gentlemen”, who could bring you just about anything you could wish for; when every place was a hiding place; and when the black dog, Satan was kept to catch the smugglers! Bring yourselves down and you’ll learn how to “sow a crop”, how to tell a smuggler your house is safe, and how to use a goose to your advantage! 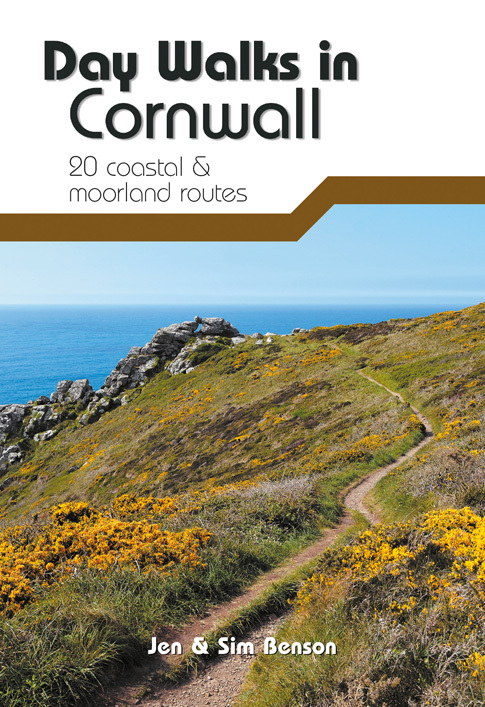 Find out more from The Minack Theatre on their website. Get set for a summer packed with time-travelling fun! 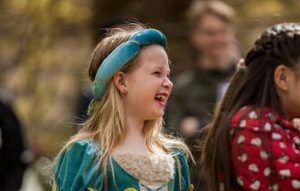 With lots to see and do, our Hands on History Crew will be bringing Tudor history to life throughout the holidays. Find out more about Pedennis Castle on the English Heritage website. 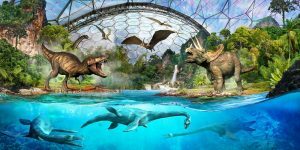 This summer, the Eden Project is set for its biggest prehistoric invasion yet as they’re taken over by incredible creatures from land, sea and air. Get ready to uncover fascinating facts about land-roaming giants, monsters from the deep and ancient creatures of the skies with a discovery journal, Dino Watch, prehistoric excavations, storytelling and more. 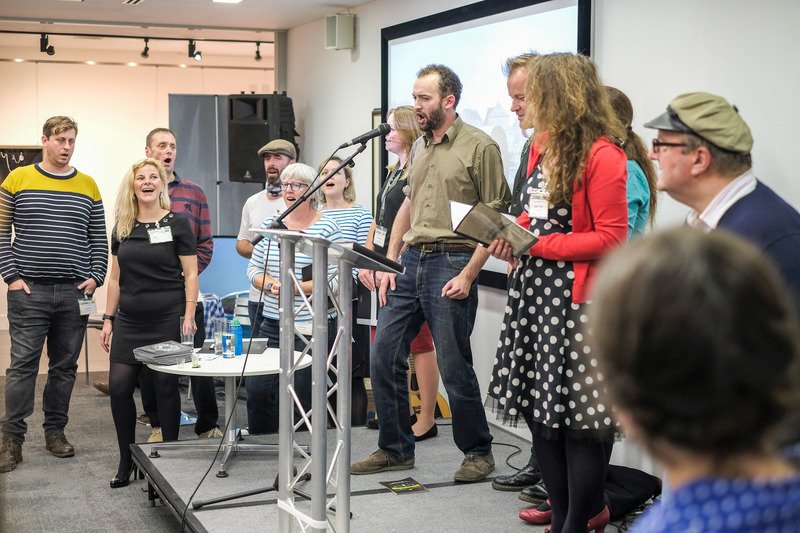 Find out more about the Eden Project’s summer events on their website. Danny and his devoted father live in a caravan and operate the petrol station and garage. 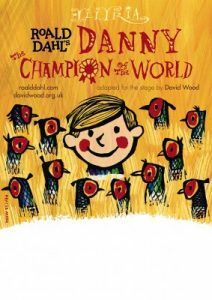 When Danny turns nine he is devastated to find out about his father’s secret passion for pheasant poaching in the estate of the nasty, greedy Victor Hazell, the local wealthy landowner. One night, Danny awakes to find his father has not returned from a night of poaching. Fearing that his father may be in danger, Danny sets off to rescue him. Illyria promises a funny story perfectly suited to the open-air. Find out more from Illyria Theatre on their website. Pick a likely lookin’ snail and with a ready, steady, go, take part in this not so fast and furious race to the finish. All just for fun. Will yours be the winner? 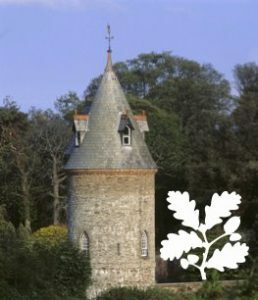 Find out more from Trelissick Garden and the National Trust on their website. Dig deep into Tintagel’s past as our archaeologists reveal the secrets hidden in the ground. 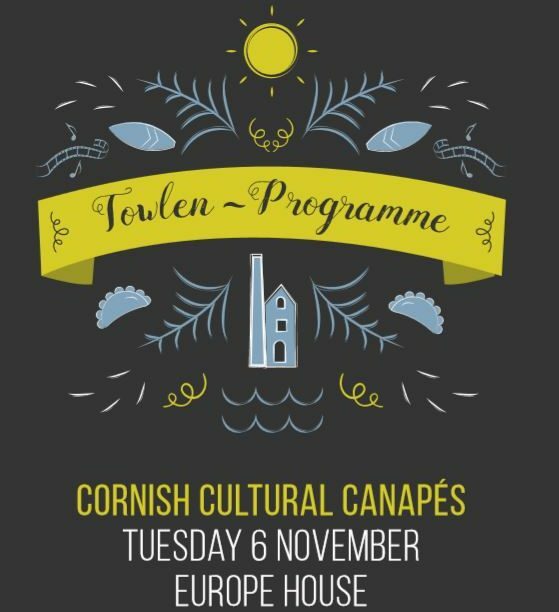 See the Cornwall Archaeological Unit on a live dig, hear about their discoveries and let budding archaeologists get hands-on in their very own sand-pit dig. Find out more about Tintagel Castle on the English Heritage website. Get caught up in the outrageous adventures of the Norse gods and their war with the giants, and sagas full of danger, trickery and beheading! Find out more from the National Maritime Museum’s website. Visit the Rattlebox Theatre website. 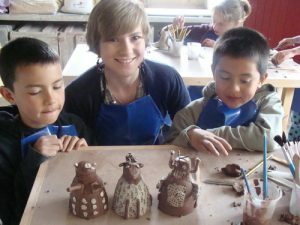 Join Leach Pottery for family friendly creative sessions, where children can enjoy hands-on making activities during the school holidays. Children will make one item following the theme of the day which could be, for example, making a piggy bank or making and decorating a tile. After this there is a process of drying, firing and glazing which takes between 4-6 weeks. Leach offer postage for those who cannot collect their piece/s. Visit the Leach Pottery website. One wild and windy night the Gruffalo’s child ignores her father’s warning and tiptoes out into the snow. After all, the Big Bad Mouse doesn’t really exist… does he? 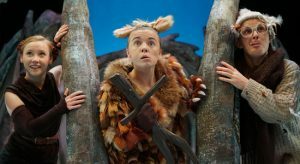 Tall Stories Theatre Company returns, bringing Julia Donaldson and Axel Scheffler’s award-winning sequel to life in this magical, musical adaptation. The storms of 2014 have opened a Portal and the Giants have been released back into Cornwall. 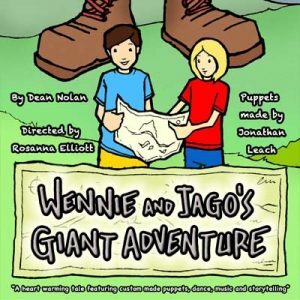 Two youngsters Wennie and Jago find an ancient map that contains clues about how to send the Giants back. With the help of some friendly giants and the audience can the youngsters unlock the Cornish codes and send these dastardly creatures back? 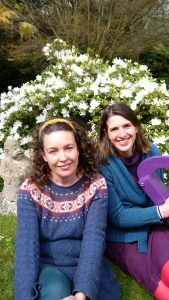 Directed by Rosanna Elliott this puppet show will delight audiences of all ages and give them an introduction to the beautiful Cornish Language. 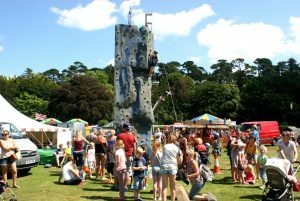 Visit the Penlee Park website. Visit the Camel Creek website. Visit the Trebah Amphitheatre website. Experience this song-filled celebration of friendship, fun and adventure, performed by the award winning Kidz R Us. Visit the Kidz R Us website. 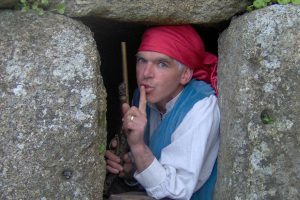 Hear the Cornish folk tale of Morwenna the Mermaid and Luty the Landman from the Lizard, brought to life with music and shanty singing for all ages to enjoy! Visit the National Maritime Museum website. PlayFest celebrates children’s right to play over two days with circus skill workshops, have-a-go sessions, circus performance shows, entertainers, a variety of arts & crafts workshops, stalls, face painting, music, dance, yoga, fairground rides… All based around the Swamp Circus Big Top, Dance tent, Art & Music tents, Green Zone and much more. Find out more on the PlayFest website. Poor Zoe; her hamster has died and her lazy stepmother, Sheila, doesn’t care. In fact, she is so lazy that she wants Zoe to pick her nose for her — ewwww. Voted the top children’s book of the year in 2012, David Walliams’ “Ratburger” encourages us to support Zoe as she battles through a life littered with perils, pitfalls, and grizzly individuals. Find out more from Heartbreak Productions. Visit the Penlee Park Open Air Theatre website. Visit the Sterts Theatre website. 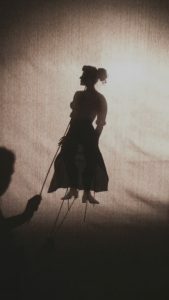 Free, drop-in family workshops making articulated shadow puppets with Mae Voogd to mark the arrival of the Man Engine in Penzance. Come along and learn new making techniques and play out stories with your creations! 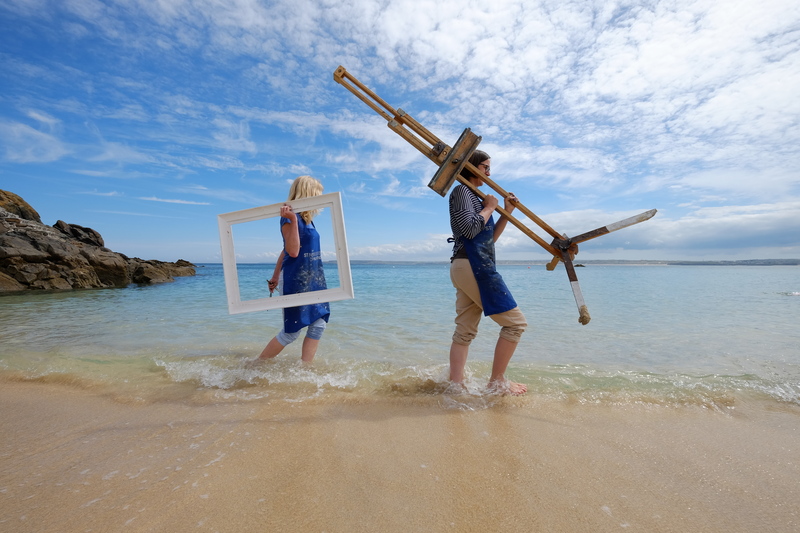 Find out more from Newlyn Art Gallery & The Exchange on their website.